As a niche British knitwear label thanks to our focus on alpaca, we’re often asked our opinions on the future of the British knitwear industry and what it may hold for us. As we’re now affiliated with Virgin, they recently posed some questions and asked our thoughts on Start-ups, alpaca and many more . Find the full interview below. There’s a lot of talk about tech startups that are taking us into the future – but at Virgin StartUp we’re just as excited about the startups moving back towards traditional industries and techniques, innovating and ensuring that these skills aren’t lost. One such business is Plum of London, the first UK business since the 1830s to focus on high-quality alpaca yarn products. Here founder Hugo Dougass talks about why we should do our best to preserve traditional industries – and how. The British knitwear industry is declining for a reason: a surge in competition from cheaper overseas manufacturers. We could allow it to fall to its demise peacefully and avoid the drain on both time and resources it will require to reverse; or we can be optimistic, take note of the demand from both national and international consumers, and do our best to pass on the skills and techniques that have been honed over the centuries and support those in typically more rural areas with opportunities to succeed. I believe it’s a case of channeling our efforts and investing in people and machinery which will allow the British knitwear industry to once again be an international leader. Often, the Made In Britain label is seen merely as a reference to something traditional or heritage, but it would be a mistake to undervalue its importance. There are numerous British brands who have become global powerhouses in the last hundred years thanks to their British manufacturing stance. Even though there is a significant amount of increased worldwide competition, there are opportunities for many more brands to do the same – it’s partly a matter of creating a niche product and benefiting from the specialist and highly skilled workforce this island can boast. The versatility and adaptability Britain has shown throughout the centuries – from the invention of the first knitting machine in 1589, to the industrial revolution and more recently to Scotland, famed for its cashmere production – the decline of the industry would be devastating to the communities which were not only built upon it, but once thrived because of it. Britain has always succeeded in adapting to the times and forging a new path, and it is now of paramount importance that we do so once again to ensure the industry’s longevity. There are many varied reasons for the decline of the industry. Significantly, since the mid-20th Century – aside from debatable government policies and general complacency – there has been a surge in the development of overseas manufacturers who have invested more in technology and advanced means of production than we ever considered. We’re currently witnessing it in steel, we’ve seen it before in the shipbuilding, motor and aircraft industries, and if we don’t correct the trend, we’ll soon see it the knitwear industry. One might say that although the manufacturing industries are in decline, the economy has been balanced thanks to the resurgence of other industries, finance being most notable. This might be a relatively constructive counter-argument, but it shouldn’t be forgotten that these statistics are based upon lone individuals whose opportunities, needs and desires require attention. I think it’s unlikely that someone who grew up in the Borders and has always wanted to work in textiles may want to relocate to London to work in finance just because that’s where they’re told the opportunities lie. Of course they’d prefer to work in their chosen industry in Britain, but may soon may find that their chances of success are moving to Japan or China. Without the continuous flow of new workers the knitwear industry desperately needs, we’ll find ourselves in another vicious cycle: fewer skilled workers in well-paid positions creating less disposable income to spend on goods made by other skilled workers in another industry. This trend is cyclical and would have a detrimental impact if we allow it to continue. British manufacturing is struggling and has been for quite some time, but this is doesn’t have to be terminal – there is a possibility that we can prevent this impending decline and there are many reasons for us to be optimistic. There is an increasing desire for British products internationally, especially in emerging markets where economies are growing and the Made in Britain label is aspirational. I see a constant stream of start-ups launching ecommerce platforms supporting British goods and ethical products – to say that this is encouraging is an understatement. There are many established organisations from UKFT and UKTI who we’re in talks with, to independent organisations such as MakeitBritish.com and StillmadeinBritain.com whose sole aim is to promote British brands and products. Upon approaching many mills, they’ve all been receptive to our ideas and ambition even though they conflict with everything they’ve previously done and experienced. It is this will and versatility that needs to be adopted and nurtured. From our perspective, no doubt it will. Our desire to continue the historic achievements of the British knitwear industry is not simply nostalgia; it’s borne out of a belief that we can create a better product using our highly skilled workers, a product which will be cherished the world over. After all, our aim is to create truly innovative sustainable fashion which will be worn and loved for many future years, shunning the fast-fashion mentality that is all too prevalent on today’s high street. This entry was posted in Uncategorized on 19/11/2015 by Hugo Douglass. Alpaca is a hugely undervalued and underappreciated yarn but this is because no other label has been able to pioneer new manufacturing techniques which allows it to handle as softly and perform as well as we have. Some have claimed that our Royal alpaca products are literally softer than cashmere which may certainly seem true for some pieces in our range as they possess a particular stitch which exacerbates the softness and quality of the product. The fact that every one of our alpaca products have so many other attributes and qualities that people are unaware of is something that we are indeed trying to remedy. Given the popularity of our range, this task is becoming easier by the day. If you’re still unsure as to just how good our alpaca products actually are, we can only try and persuade you to try one and experience this wondrous yarn for yourselves. After all, it is known as ‘The fibre of the gods’ and ultimately, ‘touching is believing’…! The Good Web Guide Awards Luxury Alpaca! Situated in the magnificent surroundings of the historic Royal Institution of Great Britain, the luxury British knitwear label Plum of London attended The Good Web Guide’s Awards ceremony on Monday evening. The shortlisted companies were treated to bubbles and canapés whilst the names were read out in a plethora of categories from Arts/ Culture, Business, Education, Gardening, British and Positive Living to name but a few! Suffice to say that the night wasn’t ours and the exceptional Dimpsey.co.uk was handed the iridescent glass prize for their efforts. Many huge congratulations to them and we think it’s fair to give ourselves on the pat on the back as well for our efforts- getting this far was by no means easy. We’ll return stronger and improved for next year though and I’m sure our day will come. Excitement grew to find out which site had taken the coveted position of Website of the Year whilst the judges, who included Anna Bance of Girl Meets Dress, Dr Stephen Fear, entrepreneur and often known as the Phonebox Millionaire, Robert Tyson and Miisa Mink, mingled with attendees. To much rapture, the TrustedHousesitters’ won the award – much deserved given their meteoric success. 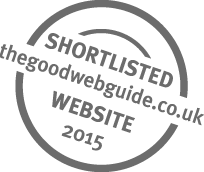 The Good Web Guide has seen that this year significantly, entries from previous GWG Awards returned with new and improved sites and went on to enjoy success in their chosen categories. We must do the same…! This entry was posted in Uncategorized on 18/11/2015 by Hugo Douglass. Positive Luxury, the organisation whose aim is to work with brands that consumers can trust, recently interviewed our founder on all things sustainable, knitwear, Britain and of course, alpaca. Plum of London is a British knitwear brand founded in 2014 by Hugo Douglass. Tackling head-on the lack of sustainable, luxury and contemporary designed alpaca clothing available to the Western market, the brand is a unique player in the knitwear space. We sat down with Hugo to learn more. A few years ago I had the opportunity to work with a knitwear brand where I first experienced the incredible qualities and benefits of alpaca fibre. The Incan society was literally ‘woven together’ by alpaca fleece with the very best reserved to clothe royalty and nobility and has since been referred to as ‘the fibre of the gods’, but only now is Western society starting to appreciate its incredible attributes and true value. Knowing that alpaca yarn was for some reason under-appreciated in Western society, I saw an opportunity to create ethical and sustainable alpaca clothing which has the potential to revolutionise the knitwear industry. With a strong desire to support the British knitwear industry, I sourced sympathetic mills helped me realise my ambition: to create sustainable and eco-friendly luxury British knitwear using ethically sourced alpaca yarn. My dream remains firmly at the heart of the Plum of London brand. What’s your vision as you take the brand forward? To help show others that alpaca is the future of knitwear, quite possibly clothing. I believe that alpaca can change people’s lives and ultimately the environment for the better. It’s an incredibly versatile yarn. It’s only a matter of time before others are fully informed, educated and have been made aware of the yarn’s true capabilities. By continuing to create clothing which meets the ethical values our environment deserves whilst ensuring that the needs of the increasingly demanding consumer requires, we will create an evolving brand which will remain at the forefront of sustainably pioneering clothing and allow us to be a key influence in the future. What are the benefits of alpaca over wool? A huge number! Alpaca fibre truly is incredible and needs to be handled first-hand in order to be fully appreciated. We do find that many people have quite negative preconceptions of alpaca but thanks not only to the incredible qualities of the fibre but also our ability to revolutionise the manufacture of alpaca yarn, the quality and handle of our products is exceptional and amazes all who come across them. Essentially, the first comment we hear when is that alpaca’s incredibly soft – its handle is far superior to wool – it’s always softer than they’d imagined. Alpaca also lacks the prickle factor associated with wool and merino whilst some claim that it’s even softer than cashmere. Royal alpaca is better performing than merino both in breathability and thermal qualities. It’s hypoallergenic, naturally antibacterial and possesses incredible strength – it’s stronger even than mohair. Why is made in Britain so important? Often, the made in Britain label is seen merely as a reference to something traditional or heritage whilst avoiding the significant part it actually plays but it would be a mistake to undervalue its importance. Not only do we have a chance to support our own highly skilled workers who have shown huge resilience over the centuries but we strongly believe that alpaca not only has the ability to help revive the British knitwear industry but also revolutionise knitwear itself. The versatility and adaptability Britain has shown from the invention of the first knitting machine in 1589, to the industrial revolution and more recently to Scotland – famed for its cashmere production, the decline of the industry would be devastating to the communities which were not only built upon it but once thrived because of it. Our desire to continue the historic achievements of the British knitwear industry is not simply nostalgia, it is borne out of a creditable belief that we can create a better product, using our highly skilled workers and create a better product which will be revered and cherished the world over. After all, our aim is to create truly indispensable sustainable fashion which will be adorned and loved for many future years and shun the fast-fashion mentality that is all too prevalent on today’s high street and is a trend we need to bucket the earliest opportunity. How can consumers be assured they are buying from a brand they can trust? Ultimately, it all comes down to the transparency of the brand. It is their responsibility first and foremost to provide a suitable level of engagement with the consumer and offer the relevant information. There are a number of new marketing techniques brands are adopting to raise their exposure and to promote their values which are wide and varied but thanks to organisations such as Positive Luxury, it is becoming a little easier for the consumer to fully appreciate the philosophies and ideals that various brands possess. How do you think the textiles industry can influence consumer demand for sustainable and ethical production? By creating durable and high performance products which are made to last. The tendency to use synthetic materials, the production of which also has a major detrimental impact on our environment, is culpable of the increasing woes our planet is experiencing. If we can source materials ethically, conscientiously and responsibly, we will soon be in a position to reverse this course. The throw away mentality that seems to be imbedded in the psyche of today’s western society can also be halted as the consumer will become more acutely aware of the dangers their current shopping habits will have both socially and environmentally if maintained. 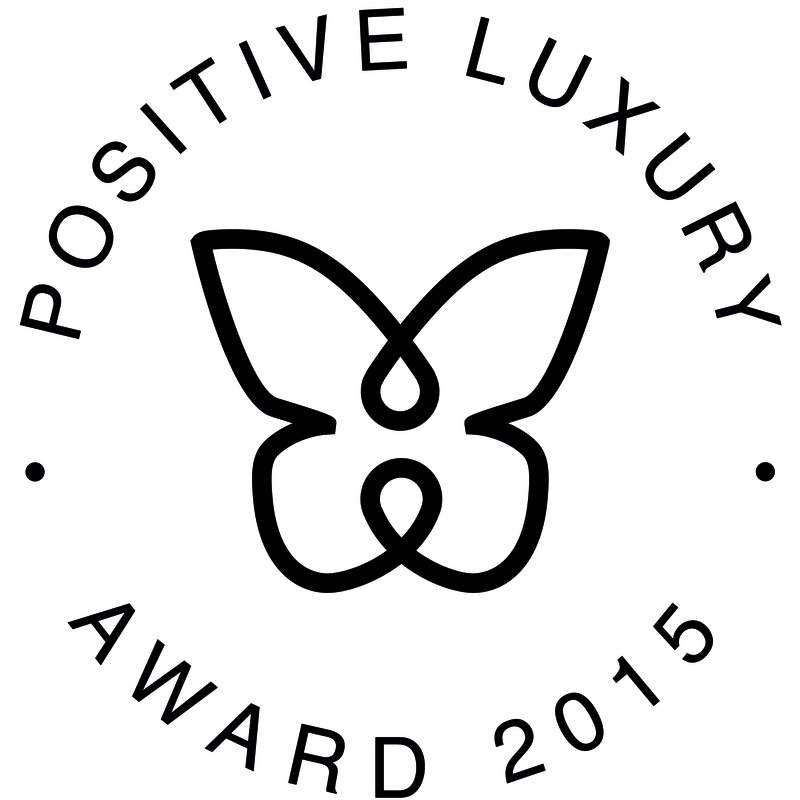 In recognition of Plum of London’s recent achievement in being awarded the Butterfly Mark by Positive Luxury, the founder of the ethical alpaca brand was recently interviewed and offers his thoughts on everything sustainable, British and of course alpaca. To provide others with the belief and evidence that alpaca is the future of knitwear an quite possibly clothing. With this, I believe that alpaca can change people’s lives and ultimately the environment for the better. It’s an incredibly versatile and highly adroit yarn meaning that it’s purely a matter of time before other are fully informed, educated and have been made aware of what this yarn’s true capabilities. By continuing to create clothing which meets the ethical values our environment deserves whilst ensuring that the needs of the increasingly demanding consumer requires, we will create an evolving brand which will remain at the forefront of sustainably pioneering clothing and allow us to be a key influence in the future. A huge and significant number! Alpaca fibre truly is incredible and needs to be handled first-hand in order to be fully appreciated. We do find that many people have quite negative preconceptions of alpaca but thanks not only to the incredible qualities of the fibre but also our ability to revolutionise the manufacture of alpaca yarn, the quality and handle of our products is exceptional and amazes all who come across them. Essentially, the first comment we hear when is that alpaca’s incredibly soft – its handle is far superior to wool – it’s always softer than they’d imagined. Alpaca also lacks the prickle factor associated with wool and merino whilst some claim that it’s even softer than cashmere. Royal alpaca is better performing than merino both in breathability and thermal qualities, hypoallergenic, naturally antibacterial and possesses incredible strength – it’s stronger even than mohair. 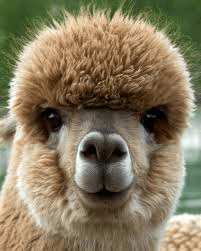 I could go on – alpaca is mesmerising but I don’t want to bore you! Often, the made in Britain label is seen merely as a reference to something traditional or heritage whilst avoiding the significant part it actually plays but it would be a mistake to undervalue its importance. Not only do we have a chance to support our own highly skilled workers who have shown huge resilience over the centuries but we strongly believe that alpaca not only has the ability to help revive the British knitwear industry but also revolutionise knitwear itself. The versatility and adaptability Britain has shown from the invention of the first knitting machine in 1589, to the industrial revolution and more recently to Scotland – famed for its cashmere production, the decline of the industry would be devastating to the communities which were not only built upon it but once thrived because of it. Our desire to continue the historic achievements of the British knitwear industry is not simply nostalgia, it is borne out of a creditable belief that using our highly skilled workers, we can create a better product which will be revered and cherished the world over. After all, our aim is to create truly indispensable sustainable fashion which will be adorned and loved for many future years and shun the fast-fashion mentality that is all too prevalent on today’s high street and this is a trend we need to buck at the earliest opportunity. Ultimately, it all comes down to the transparency of the brand. It is their responsibility first and foremost to provide a suitable level of engagement with the consumer and offer the relevant information. There are a number of new marketing techniques brands are adopting to raise their exposure and to promote their values which are wide and varied but thanks to organisations such as Positive Luxury, it is becoming a little easier for the consumer to fully appreciate the philosophies and ideals that various brands possess. By creating durable and high performance products which are made to last. The tendency to use synthetic materials, the production of which also has a major detrimental impact on our environment, is culpable of the increasing woes our planet is experiencing. If we can source materials ethically, conscientiously and responsibly, we will soon be in a position to reverse this course. The ‘throw away mentality’ that seems to be imbedded in the psyche of today’s western society can also be halted as the consumer will become more acutely aware of the dangers their current shopping habits will have both socially and environmentally if maintained. This entry was posted in Uncategorized on 10/11/2015 by Hugo Douglass.